Kayaking, boating and swimming from Lake Wilson dock. Kayaking and boating on Lake Wilson from dock. 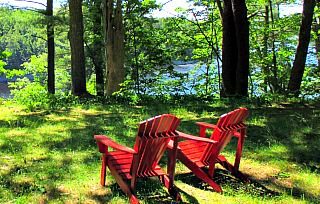 Maine retirement communities among wooded settings along scenic ocean vistas and rocky shorelines ... blueberry farms ... LL Bean is here too ... cottage style architecture ... autumn leaves ... and winter activities. But there's more. Read our interview with the experts on Maine. 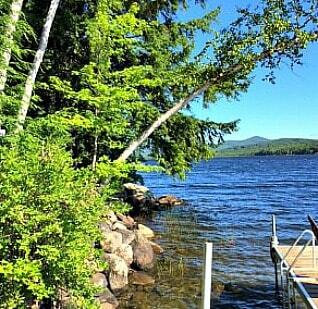 You can get away from suburban sprawl in the country areas of Maine. 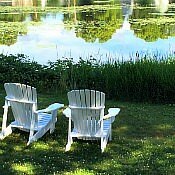 A good way to retire to Maine--spend your winters in a warmer climate state and your summers in Maine. But, according to the Maine experts in an interview, residents of Maine love the four seasons and winter is the most active time. Portland has been named one of the best and healthiest places to retire with its many recreational pursuits for hiking, boating, fishing, snow skiing and more. It is also considered a "foodie" city. According to the recent U.S. census, Portland has 20% of the population of Maine. Maine has a very low population density of only 41.3 people per square mile. 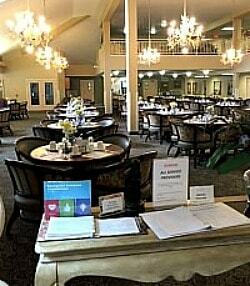 Indoor pool and spa, beauty salon, walking trails, gardening, woodshop, social activities and more. Purchase cottages with gas fireplace and garages in $200's. Private homes and apartments with continuum of care. 1 and 2-BR purchase apartments - river views. Topsham...30 minutes to Portland - Adult resort community "planned to protect natural resources, environmental quality, and biodiversity." 9-hole Scottish-style golf course. From $200's to $500's. 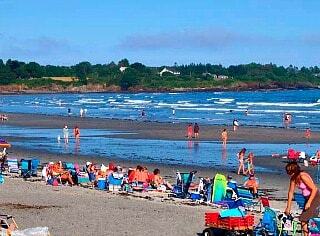 Location near college town of Brunswick, Portland downtown, picturesque coastline and beaches. 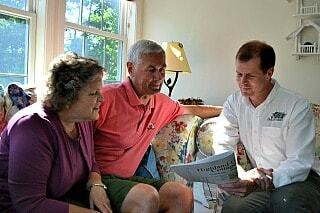 See our Maine Living review about this community. 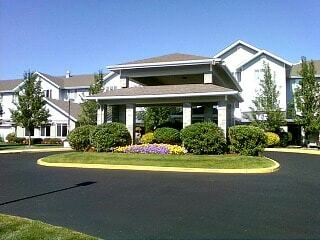 Independent living apartments - also assisted living and memory care available. Co-op home ownership or rental apartments. 75 acres with meandering walking trails. Next door to Brunswick and Bowdoin College (a plus) and 25 miles to Portland. Bowdoin allows seniors to audit classes with permission. Bowdoin College is in Brunswick and 25 miles to Portland. Community Provides transportation to the Portland Symphony Orchestra. 2-4 bedroom homes priced from mid-$200's. Masters on first floor. Across from the University of Maine. Seniors can get a pool and gym membership there (verify). Just an hour or two drive from Portland are beautiful wilderness lakes like these--hear the loons - Wilson Pond in Wilton. Rockland...Independent living apts. with meals and housekeeping. Ala carte assisted services. Resale Stonewood Cottages at Bartlett Woods are cooperatives priced in very low $200's. 90 minutes to Portland. Bangor...Near University of Maine at Orono - by Holiday Retirement Communities with chef-prepared meals and housekeeping - rental independent living. No long-term leases. 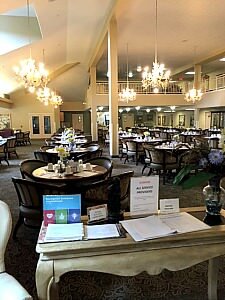 Blue Hill...45 minutes to Bangor - Owned by Christopher Place Senior communities - apartment-style and assisted living apts - cottage residence - view of Blue Hill Bay - meals, library van service - Blue Hill Memorial Hospital 3 miles - also has rentals. Orono...Affiliated with the University of Maine - apartments and cottages for sale - smoke free (verify). Hampden...I haven't visited this East Maine community but I want to from viewing their quaint and charming website. It features their main house as an elegant Manor House above the Penobscot River, retirement cottages and condominiums in a natural setting with walking trails. Not a template design at all. Also, minutes to Bangor and the Univ. of Maine. 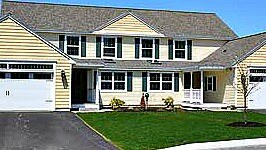 Saco...cooperative - Also assisted living available - 1 Harbor Dr.
Wells...not over 55 but very nice community can be for retirement. Luxury 2, 3, and 4 bedroom condominiums. Triple-pane windows. By Kasprzak. Start low $300's. Gateway Dr.
Kittery...across from Portsmouth Harbor, NH - carefree living in rental apartments by Holiday Retirement with meals and housekeeping as plusses. 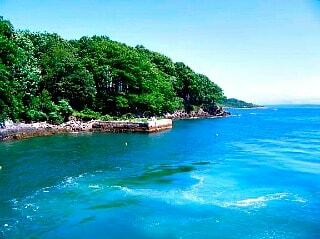 Kittery...on Spruce Creek - Southern Maine - has boathouse and dock for kayaks and canoes only. Gove Group. Sold out. Check for resales. York...on Coast - also life care. Acton...Over 55 community custom built on acre+ lots by Built by Adams. Start $239,900. Few lots remain. If you would like to know more about Maine, read our Interview with our Expert from Highland Green, Maine Living. 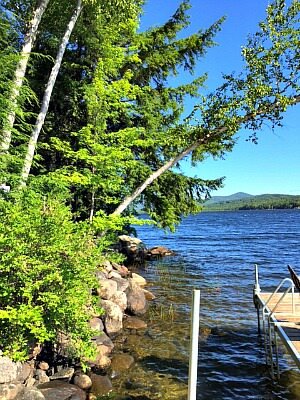 Also see more photos of Maine. 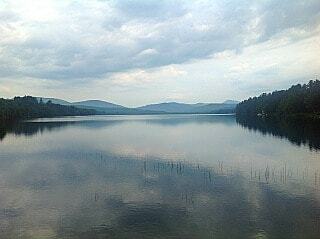 A visit to the Rangeley Lakes area of Maine was highly enjoyable. Read about my vacation in Maine.